Let me start by being honest. I. AM. A. COFFEE. ADDICT. There can be times I crave for coffee that while driving I am willing to make a big turn just to get one. If I can't get myself a coffee fix, it will lingers at the back of my head and my saliva will be dripping all the time. OK. That's exaggerating. Anyway, my buddy Su invited me out for breakfast. 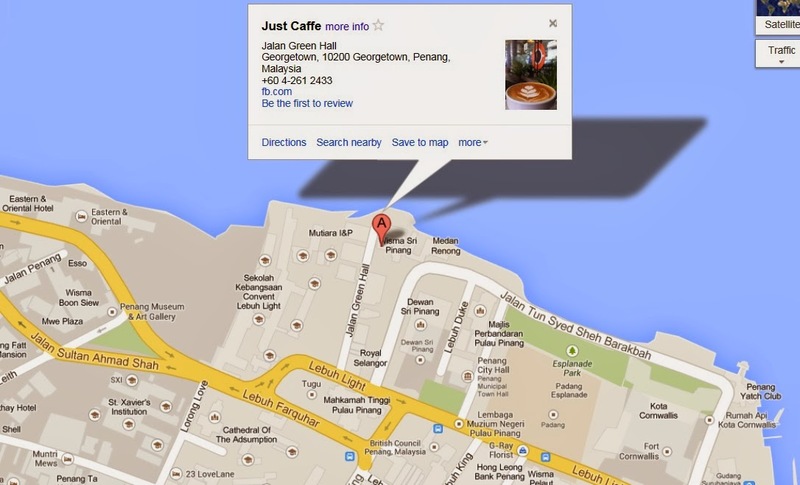 So, I googled for the café list in Penang and pick one. 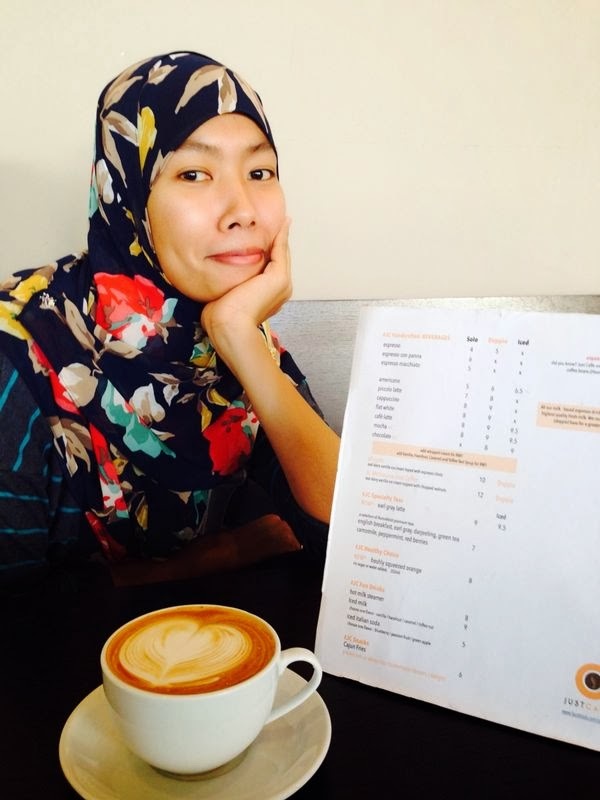 Apparently, a lot of café has been opening in Penang and I have not been to any of it. Sometimes friends will share them on Facebook and I will go like "What, that place exist in Penang?" 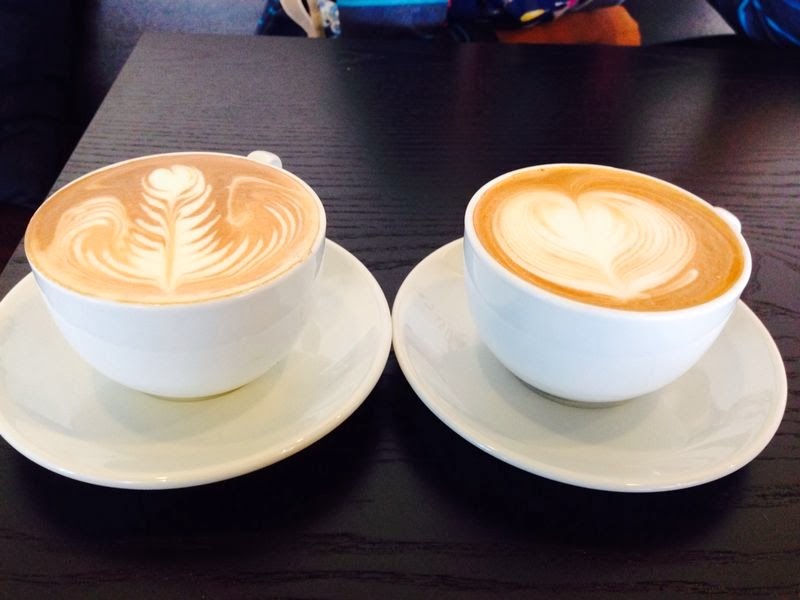 So, to cut the story short, we pick for Just Caffe. It is at Jalan Green Hall which is the small road opposite the Municipal Hall. There is also 2 other Café at that road, one is Kaffa, another one something Brew..can't remember. We were greeted by one friendly guy. 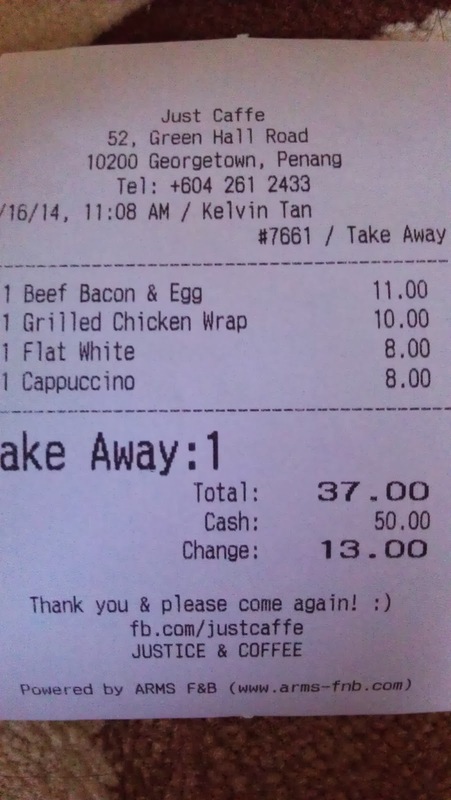 Upon seeing us he immediately say that the café is Pork Free and the Bacon listed on the menu is beef bacon. Su asked if the meat is actually Halal and he said that the vendor is supplying Halal certified meat. At the end of the explanation, he asked "By the way, what does Halal meat actually mean?" So we explained to him that it the chicken/cow/goat must be slaughtered using Islamic way which is using a sharp knife to cut at the throat where the main vein was and also at the same time the person must mentioned that it is in the name of Allah that we slaughter it. Here's our pick. 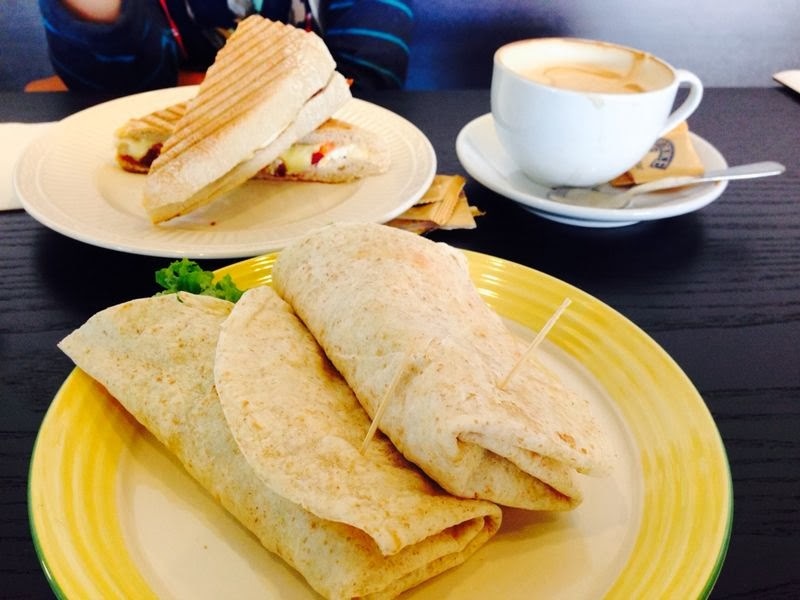 Su's grilled chicken wrap is quite nice while my Panini is quite hard. I was actually expecting a softer bread as I am having tooth ache. But, apart from that, it was nice too. Yasz Amzah.com - Life's a commotion! Losing weight doesn't get any easier as today!